Now, seriously. My $49AU fullhd camcorder has a swivel screen. A ball allow joint and wiring is very cheap. However, doing it the way I want where you get up down from back and side positions, including a full swivel around might be more complex. A good version of this (remember this is not an built tough $50k etc Arri, it's a $1295US camera) only needs to be as thin as a phone, using similar parts even. The size increase shouldn't be much of an real issue. I have to side with both of you. I'm interested in what will be good for most of the market, not just myself or some smaller group. So 4k should he a happy medium, even on future wall screens, for those significant numbers who can see 8k at some time in their lives, and those that can see somewhere less. However, 8k acquisition should help 4k or less deliverables, and other things. On the other hand, what is the point of opposing good improvements just for the sake of it. The camera, us and the company would benefit from many improvements mentioned here, and they are mostly not going cist much if you simply put them in the design.of the next midel. Now John, I have to ask. You talk about S16 and HD being good enough for years, but how much of that is first SD or less TV, DVD etc, where the grain and resolution problems are hidden by lower resolution pixels? Young people with a big TV and a bigger one coming in coming decades, probably will appreciate the extra clarity 4k+. Which is an extra quality product to sell. People don't not buy blurays and watch only SD digital TV and DVD's. John, where does the $500 come in? John Paines wrote: Netflix won't look at submissions off the street, they have to go through a distributor/aggregator, though on occasion their reps will find something on the festival circuit they want to acquire. I doubt 4K will make any difference. For no-name projects, they don't pay well, regardless. Most people don't begin to make their money back, with the typical 2-year exclusive agreement. 4K doesn't make a difference. Some people who've sold films to Netflix have attested to that pesonally. Part of why a lot of films don't make any money on Netflix is that a lot of the filmmakers treat getting the film onto Netflix as a goal and don't continue to promote it after it's up. Yeah, 4K honestly is just a marketing gimmick. Unless your sitting right up close to the monitor, or watching on a 70 inch TV, you’re not gonna see much of a difference. 4K should really be more used for post work, like cropping and green screening. And I agree with Netflix. The problem with them is that there’s too much content being added every week. If you didn’t see the film the week it was added, it’s gonna be buried and forgotten the week after. It’s not like Blockbuster, where the movie stays on the same shelf for a month or two. You got that one week to get your audience, and pray word of mouth keeps the movie alive. If not, it’s buried in the trash of more “Netflix (we bought a random movie) Originals!”. Bad enough there’s no quality control going on with them right now. Rakesh Malik wrote: Part of why a lot of films don't make any money on Netflix is that a lot of the filmmakers treat getting the film onto Netflix as a goal and don't continue to promote it after it's up. Unless you or the cast have a social media following in the millions, or an advertising budget in the tens of millions, you're going to have a hard time promoting the movie, distinguishing it from thousands of others. Even if you do, Netflix doesn't base payment on how many times the movie is viewed. You sell them a license, and that's it. Amazon has a different model, but in order to see any income, the views have to be enormous -- far beyond the promotional means of a modestly budgeted production. It's rarely been true that these movies make their money back, and that's still true. The best most people can hope for is lots of illegal downloads -- at least people see the film that way. About Amazon Prime: the only ones benefiting from this all-you-can-eat model are the audience and Amazon. I've calculated it through for a director friend - even if his movie sits on top for the next ten years and is watched by the maximum amount of viewers possible for the payout, he won't get to break even, because Amazon has put a cap on the maximum they pay out per year and the pay per view is ridiculously low. I'm all for a better product but if it was so easy to add these upgrades at minimal cost then why wouldn't they want to give the users what they want? I've never seen BM as a company to purposefully withold to make a buck. I feel like the aim for the product was just different than what people expected. I am all for a pocket pro! All in one, small form, no accessories, sign me up. Again, the industry sending themselves broke. They want not to profit share, throw muck against the wall and see what sticks, and throw the wall at users so they can't sort through to what suites them. Not very brainy, astute or ingenious, but that's what happens when you hire money men and graduates and run them on the brawn of empty caffeine without much talent, rather than hire talent. Firstly, they should at least profit share x percentage of net profit distributed to licencers, based on per second fraction of monthly view, uncapped, and a bonus if they finished the content (people liked it enough to watch it through). Immediately everybody with good content that people want to watch benefits. Second, do a good rating and content to user matching system (below). The reality, is that they are leaving themselves open to individual content web pages being used, not requiring license negotiations. Just produce and put up, using a third party back end hosting service. Using trusted review sites, who supply links for a small small commission, people read and see good content and follow the link for advertised sponsored feed, or pay per view. Now comes word of mouth and content to user matching services on a trusted review site. People alert each other on and off site, and the site owners, to good content. Users mainly use a couple of sites, and search engines to find trending movies which takes them to these sites. Other things like a Columbia Picture, Fox, Disney etc content portals exists which you go directly to or hook through trusted review sites. This is sort of one of the ultimate destiny of maximising content makers returns for good content, which we might be headed as the big boys paint themselves into a corner too content restricted, and/or low quality for viewers and too little return for content makers. The whole Netflix original stuff also takes away from licensees stuff getting watched, which should take away from the amount the one licensing is ultimately willing to pay. Not in Australia. Over here there is so little on Netflix, you go, oh they have added something new, and do much not so great (Netflix originals actually help here. But, they seem to get delayed a lot, so I wonder if some are released after a run somewhere else here, strangely). Maybe even blockbusters still have more variety. The suggested movies and suggested genre lists seem to actually work at getting relevant content up in to view here. A simple algorithm that tracks what similar users, and those of similar taste inna subcategory, vote up in common allows you to direct other content they liked which you should like to a list. But the rating system is now up or down, which really not great. If people could vote 1-10, for 4 stars of terrible, 2 stars of mediocre, and 4 stars of good, you could work out things a lot better. 5 stars to, bit not as good. But, you really need a rating for quality, rating for liking of the film, and maybe a rating for would In recommend the thing. Doing a search on these ratings you could sink everything bad quality pick based on what you like that others like you would recommend. You should have pretty god picks. I wanted to do a certain website maybe decades ago, where I came up with weighted systems to match games to users. Netflix system is not nearly as good, they put on the lists titles I have already seen, even ones I down voted. I mean, come on. +John. That's what I thought. Ryan, people just aren't that good, otherwise every film would be a masterpiece. The reality is people get an idea, make something thinking it is good enough for whatever reasons, without really contemplating the philosophical design nature of what the user will ultimately enjoy. The original list was pretty modest. There is no evidence that a tilt screen will ultimately cost $500 more, even an oled one, that sounds like a bad it's a monitor in a box with a hinge which should be doable cheaper than a similar sized (but thinner) phone. We can split the difference, they can spend a $1-$5 adding WiFi, and we can mount $100+ phones on a hinge. Sounds like a solution, a USB to phone, or WiFi dongle or wifi card firmware support to use with a phone. BM? Mr Petty? Chris Chiasson wrote: Yeah, 4K honestly is just a marketing gimmick. Unless your sitting right up close to the monitor, or watching on a 70 inch TV, you’re not gonna see much of a difference. 4K should really be more used for post work, like cropping and green screening. It's only for Netflix partner productions, where Netflix is paying for them, that 4K matters. Otherwise, it just needs to be good. That's true. I don't agree that it's beyond the means of a modestly budgeted production; it's usually just that the modestly budgeted productions don't put in any effort. I know a few that have put in the effort to build some pretty sizable audiences, and they actually DO make money... but it took them years to build that audience, and they stay dedicated to staying engaged with their audiences. Isn't that the case with everything? Firstly, it's the story that's most important and, secondly, it's consistency in the way the stories are presented, even though they may be completely different. When the audience tunes in, they know what to expect. 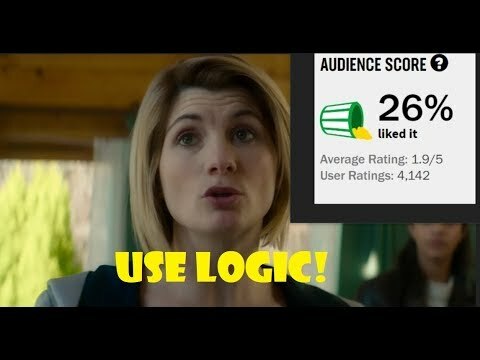 A classic example of not doing this is the latest Doctor Who (which I haven't seen) that apparently now has audience numbers plummeting and ratings nose diving because it moved away from what the audience has always loved about the series. I've just had a thought, anybody know if different parts to sort of me this true for Dacloo. I mean a WiFi USB mini dongle to use a phone as a tiltable touch display on a mini cage. A basic weather resistant body skin with room for bigger battery (a 3D printer design job?) With a cage or built in cage holes to mount equipment and a hinge for a phone display. A mountable electronic ND filter. A EVF, or part of a VR unit, such as the pimax which is 4k a electro wetting display with nearly complete dci-p3 coverage a lit cheaper than oled. An firmware update to support it all. That might even fit in his $2299 price. Has anybody attempted design of cages and cases for the Micro mod work? Australian Image wrote: Isn't that the case with everything? Firstly, it's the story that's most important and, secondly, it's consistency in the way the stories are presented, even though they may be completely different. When the audience tunes in, they know what to expect. I don't think that the consistency part is as important, unless it's a franchise trope. The most successful horror films lately have for example NOT followed the standard bogus formula. The reviews have been pretty strong also, at least the ones I've found. Doc Who. Isn't it ironic. Decades ago they went stupid on doctor who listing around, and it got canned just after they tried to get back to credibility. After a couple of Stella Doctors things were not as good on doctor 5, who wasn't bad (except that cricket episode etc) but come Trial of a Time Lord, it was a circus literally, and that galatic circus, and Ace (give me a break) years latter was just not that watchable. Come the new series, the rubbish was back, except it was good rubbish. Now, after a success of increasingly good doctors, with the last the best rubbish doctor who sort of is in between the credible and rubbish world. Now, the new doctors story lines conduct remind me more of the style of the story of the old doctor 3, 4, and 5, which is charming, and slower (less manic psycho). More slower paced. Which is not what the intermediate audiences were attracted to. Maybe it was deliberate to lend more to the gender change, rather than little boys with their toys amusingly waving them about. I actually quite like her, where as if she was a wand waving maniac I would finally nail a Do Not Revive sign on the series. However, the new episodes are a bit slow, constricted, clingy, somewhat, but still unrealistic, and some of the passivist rewrite of character is a bit much. Sort of nearly there as far as what could keep it going, and 50% of red hot. But then again, I'm still waiting for a Matrix like Doctor Who (with cool swords ). Anyway, next time maybe she'll get some regeneration problems and have to merge with Queen Elisabeth from the space whale episode. Rakesh Malik wrote: I don't think that the consistency part is as important, unless it's a franchise trope. The most successful horror films lately have for example NOT followed the standard bogus formula. I'm talking about consistency in the sense of the style, how the stories are handled, cinematography etc. The stories can be on completely unrelated subject matter, but the producers will have a style that is consistent. When people see that a movie is produced by someone they know and like, then generally they know it's something they will enjoy. Maybe Rakesh was talking about elsewhere, in Britain maybe? 1.6 million viewers over the season is a blip. You would think 16 million at least, even in Britain, to be serious ratings for such a series. Maybe that's why the new episodes seem constricted, budgeting? I wasn't aware they were hurting this badly. Yikes. Rotten Tomatoes seems like a bit of a tough crowd. I just posted a review of a movie recently which received the same score, but it wasn't that bad (or good for that matter). A group of people just seemed to have personal expectations which weren't met, so flayed it. Seen the same sort of people do this on forums, no balance to find truth objectively. Lol. Listening to that video. Doesn't occur to the guy that people like to complain more than vote up something in review, and negatively people even more loudly, which makes that part of his argument fall apart bury itself and put a do not disturb sign on the grave. Nit picky wicky's. Anyway, aren't we suppose to be talking about something to do with pocket cinema pro, not Netflix, prime or Doctor Who. Like my post above. No idea why Netflix came into this discussion. My observation was that you don't need a 'pro' camera (whatever that is if the BMPCC4K isn't professional enough) to produce stuff people want to watch. I merely say Pro means more production handy (for different types of work) and at least an image spec like the Alexa, because it works well enough compared to human vision. What were discussed here is a bit of a mixture of these things, mainly the non Alexa image stuff, as we can't change the sensor before a new camera, but many other things can more easily be adapted. BTW, who cares about Netflix. They didn't do The Expanse, and have removed it. The future is self distribution with high return advertising or pay to view. I am still planning a high return advertising platform for websites to beat the others, one of my future business plans. Cut out the other middlemen for a low fee service to help websites, with a specific formula to make advertising work and rescue it. So, such a thing would work on video content too, if anybody would like to do it. Murdoch and newscorp are wasting their money, they need to get in on an advertising scheme like this, then news may work again. The advertising industry cowboys have killed the value of the advertising dollar cold, which is what is so badly affecting online news value. Once people can rent back end video commerce server solutions cheaply for their own content, the days of YouTube as a desperate indie feature distribution platform will be coming to an end. Even tweet is doing something like a 90% pass through to content providers on advertising now. With the pocket 4k pro, we are on the cusp of a revolution in local content through local portals using back end servers, and advertising. TV networks are going to take a hit. Wayne Steven wrote: The future is self distribution with high return advertising or pay to view. So yes, the Pocket 4K does beg the question, what cameras will BM come out with next? Looking at their product line I would say that the Ursa Mini 4K and 4.6K are probably on their way out. I expect there to be a new 6K camera, possibly full frame, maybe it will be called the Ursa Mini Pro FF 6K? If the Ursa Mini 4K and 4.6K go away I expect there to be a hole to be filled. But I doubt they will call it the Pocket Cinema Pro, maybe Cinema Pro, but I expect them to drop the "Pocket". I would think it would have a form factor somewhere between the Pocket 4K and the Ursa Mini. And it to be a 4K S35 with ND filters, more connections, room for a full size battery plate, tiltable screen and priced somewhere around 2.5K$. Sony, Panasonic and Nikon will be be releasing 4:2:2 10 bit cameras around that price range, they will have lots of great features with greatly improved image, but will still not quite be there in terms of a cinema camera. So I think BM will still have a niche to fill, especially if BRAW is as good as everyone is hoping it will be. Maybe not next NAB but surely the one after that I would expect their next camera to be announced. This thing about FF is amazing, considering the oft quoted objection about trying to pull focus with a fast s35 prime, let alone a FF or medium format. Not such an objection to me, set aperture to compensate. But the size of Full Frame lenses for some types of work might be worth thinking about. Multipoint allows Imax sizing with little weight problem, using smaller sensors. BM should definitly prefer keeping main cameras from 2/3rds to s24 or so, unless they go to multipoint, then up to IMAX virtual MF is preferable. I was looking at an 8k 120fps s24 14 bit sensor the other night from some strange company. 3.2 micron pixel pads I think they had. Plenty of 8k Siny sensors coming out lately too, so there maybe something they could use. But why spend that much on the mini 4.6k, but never revise, expand on it, or cut it down to 4/3rds (for a Alexa'isc like pixel count . Sure it needs a lot less heat, but otherwise it seemed to be something to build upon to reduce that heat. As is, except low light and heat, the 4.6k performance would have been a good past match for a pocket successor.